Amanda Armitage plays a vital role in her family's international investigations agency. Great job, great salary, great heartache, as she lives her life, eyes on the computer screen, fingers on the keyboard. When she loses an agent, a friend, on her watch, she is forced to examine the joylessness of her narrow existence. Mandy's resistance is minimal when her bosses-her parents-send her on a special assignment as research assistant to a best-selling author in Florida. 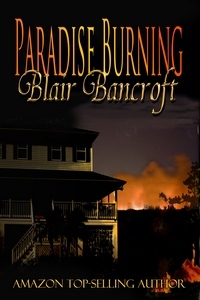 Acknowledging her burnout, she agrees to spend the winter season in paradise, working for Peter Pennington, who is writing a book about international trafficking in women and children. The same trafficking that just got her friend killed. The job will give her an opportunity to unwind while enjoying a season in paradise and still work against the scourge of trafficking. There is, however, a slight glitch. Peter Pennington is the husband she hasn't seen in five years. When Mandy arrives in Florida, trafficking becomes more up close and personal than anyone planned. Peter involves her in his research of local "working girls," while Mandy accidentally stumbles on a houseful of captive women in the Florida outback. A house where a dark, and unlikely, romance is creeping reluctantly into life in the midst of an evil as old as time. As Mandy and Peter juggle a rekindling romance with the dangers of international trafficking, the girl once known as Mandy Mouse metamorphoses into a dynamic, independent woman. Perhaps too much so, as the world around them literally goes up in flames, and Mandy, discovering how easily black and white can dissolve into shades of gray, is forced to make the second most difficult decision of her life.